Colin: Check out Neil’s splashes of colour in the future scenes – someone’s being watching Schindler’s Liiiiiist! But that’s not all Neil’s been doing! He’s only went and done another travelogue comic, and you can MAKE SOMEONE’S CHRISTMAS by buying it now! 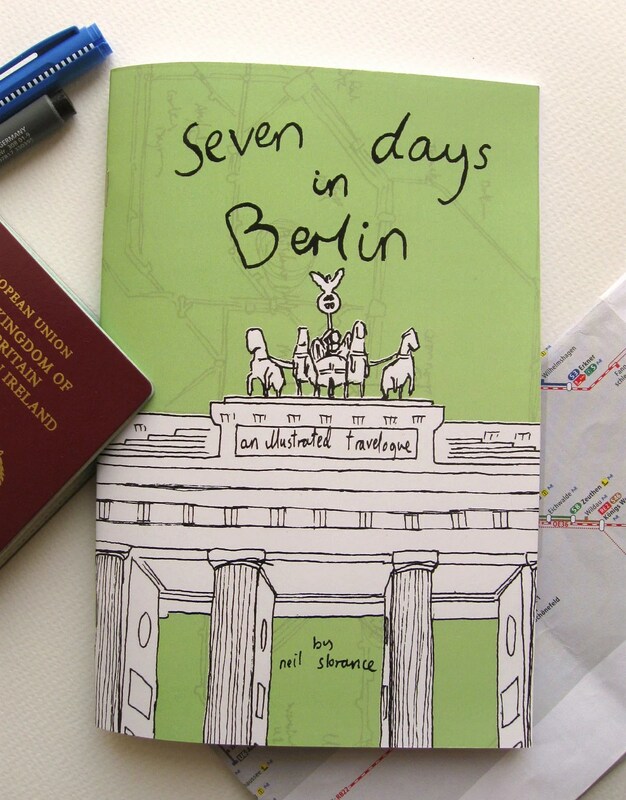 It’s called Seven Days in Berlin. My favourite bit is where Neil tears down the wall and reunites the East and West bits of the city in the book’s emotive finale. You can buy it at Neil’s Etsy here, where he’s also doing a deal where you can by the prequel Nine Lines of Metro with it in a kind of bundle deal. They’re both tops! Go buy! That’s quite an update! More next week as we trudge towards our second CHRISTMAS SPECIAL! This entry was posted on December 3, 2012 by jonbotvsmartha. It was filed under Webcomic and was tagged with eisenreise, eisenriese, future sarah, jonbot, mal:com, martha, season two.